This book is a study of orientalism in English literature of the Renaissance period. 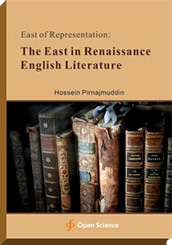 The aim is to provide a sharper focus in regard to representations of the East in Renaissance English literature through a close analysis of some canonical texts of the period by Edmund Spenser, Christopher Marlowe and John Milton. The writer explores the modality of orientalist discourse in these works arguing that though indispensable, the Saidian model of orientalism cannon fully account for the nuances of orientalist figurations in the period. An Associate Professor of English literature at University of Isfahan, Iran. Students and scholars of English literature and cultural studies.